I think I've found a perfect solution: once a week on Tuesdays, I will post one of these four topics - In the Kitchen, Zero Waste Tip, Repurposed, and a DIY. I am beyond excited to share all my tips and love of making things with you! For the first week I'm starting with a super basic that I am obsessed with doing. You literally make something out of nothing! My favorite easy peasy veggie stock recipe. We only started doing this last year, but I love how easy and useful this is. Just start collecting all of your veggie scraps: carrot peels, ends of onions, parsley, celery, scallion pieces, ends of leeks, garlic, etc and throw them all in a gallon bag in your freezer. When the bag is full, dump it in a stock pot and add water, and voila! 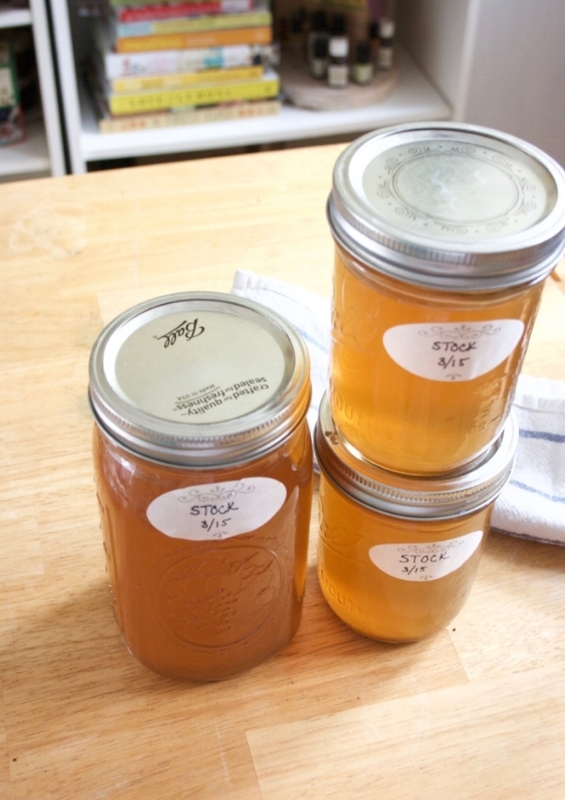 It's the easiest way to make a ton of stock, its free and you can compost the strained veggies after! 1. When your gallon bag is full of frozen veggie scraps (about 5 cups), add the scraps to a large stock pot with about 9 cups of water.2. Bring it to a simmer over medium heat. You can add salt, pepper, bay leaves or anything you want! (I normally do a bay leaf and a little salt and pepper)3. Let it simmer altogether for around 1 hour.4. Turn off heat and let cool. Then strain out veggies with a mesh strainer or cheesecloth right into jars.5. Enjoy! Add it to your soup, freeze it (just make sure you leave a little room in the jar) or can it if you're not using it for a long while.